Smoke forecast map. This one shows 48-hour smoke forecasts from the National Weather Service for areas affected by the fires. 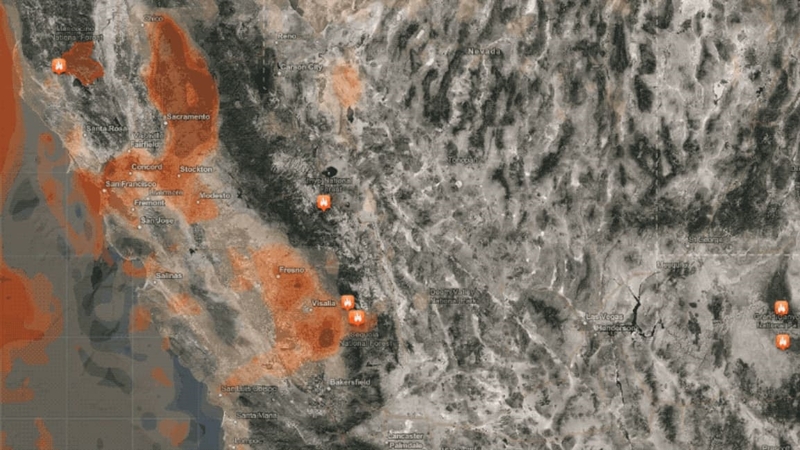 According to Esri, it should be updated soon with pins for the Camp Fire and the fires in Los Angeles, both of which just broke out (November 11, 2018). Find it here.